South by Southwest is a large festival held annually in Austin, Texas showcasing the latest in film, music, and technology. 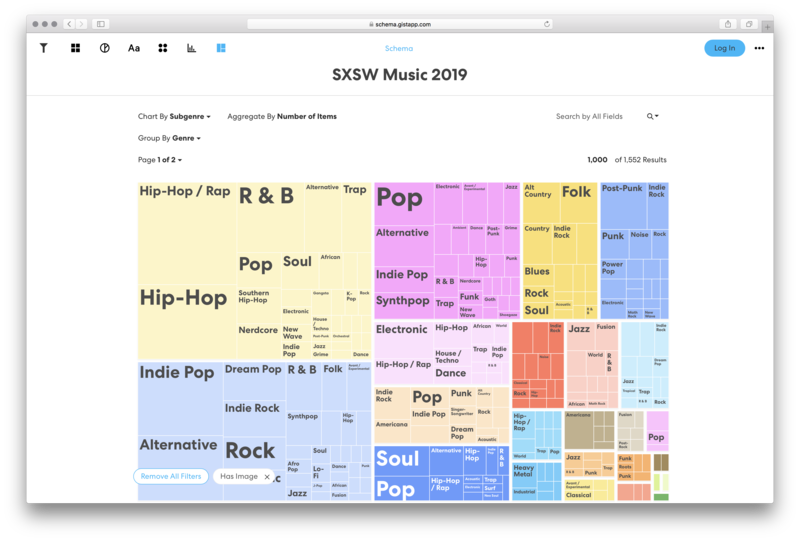 Using data sourced from data.world and Gists’s recent integration with data.world, we created two visualizations featuring the 4,649 speakers SXSW hosted as well at the 1,757 music acts performing during the festival. Heather Bree is a data visualization specialist who is passionate about using data communication to increase informed awareness of complex issues. With a master’s degree in Predictive Analytics from Northwestern University, Bree’s experience includes working in international affairs and alongside various organizations, ranging from nonprofits to corporate businesses. 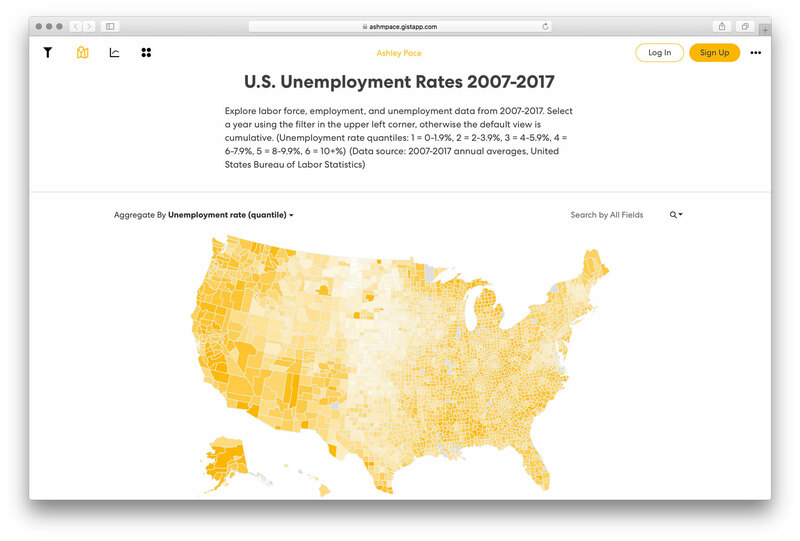 With Gist, you can create stunning interactive visualizations and embed them in your online article, or website, to add depth and an enriched experience to your story. 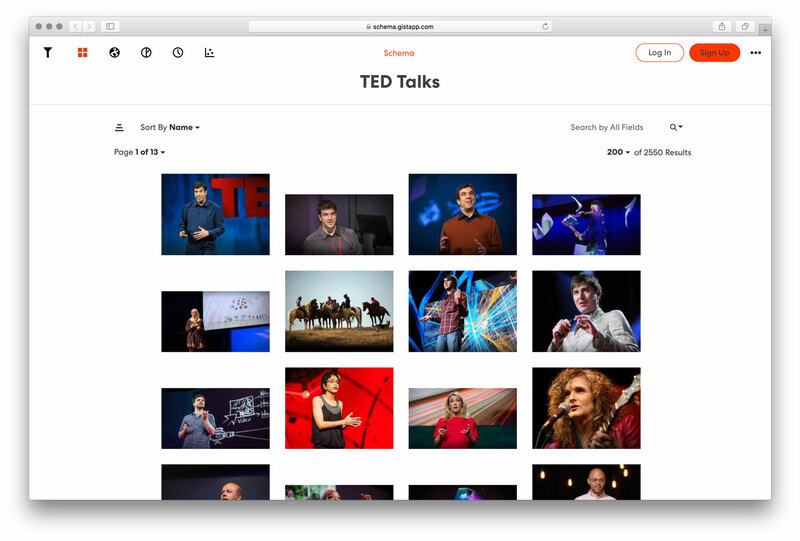 Recently, ChinaFile, an online magazine created by The Asia Society, used Gist to build an interactive database. 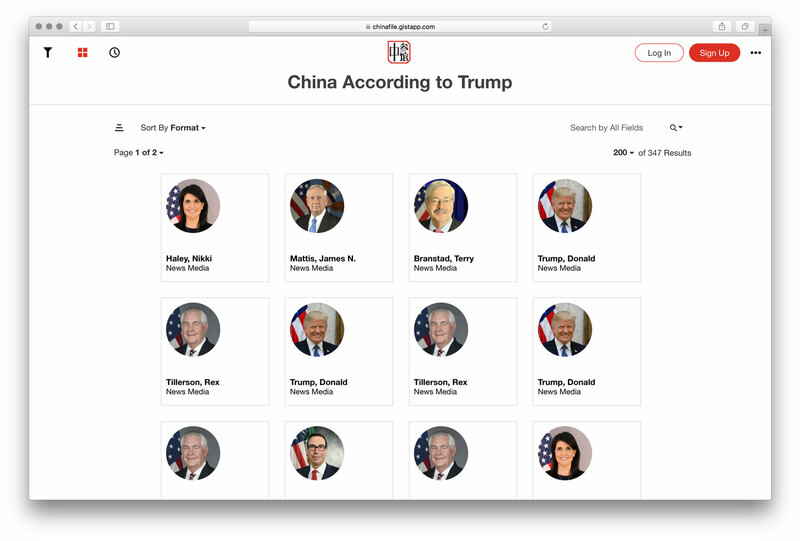 The database visualizes the data collected from Trump, and the senior members of the administration’s, comments on China through press releases, tweets and any other media outlets. By embedding the database directly onto their website, their readers gain insight on this special project that focuses on the administration’s position on China and how it has diverged from official to unofficial topics over time. Sometimes when choosing the right visualization for your data means going back to the basics. Presenting your content in a simple layout that arranges your information in columns and rows may seem lackluster, but in some instances it is the most effective method. Next in our chart style series, we will discuss the Table visualization and why it may be the least confusing option for your data and audience. The most common issue when creating a visualization is not understanding the best way your data should be presented. Choosing the wrong chart type could both confuse your viewer and lead to misinterpretations. In this blog series, I will go over why certain charts work better for your data and will ultimately give you the tools to help choose the right visualization in the future. Each month I will focus on a different type of data visualization offered by Gist, for a total of 11 posts, to help you effectively visualize your data and teach you how to configure visualizations like a pro. Do you love to view data broken down into a pie chart? 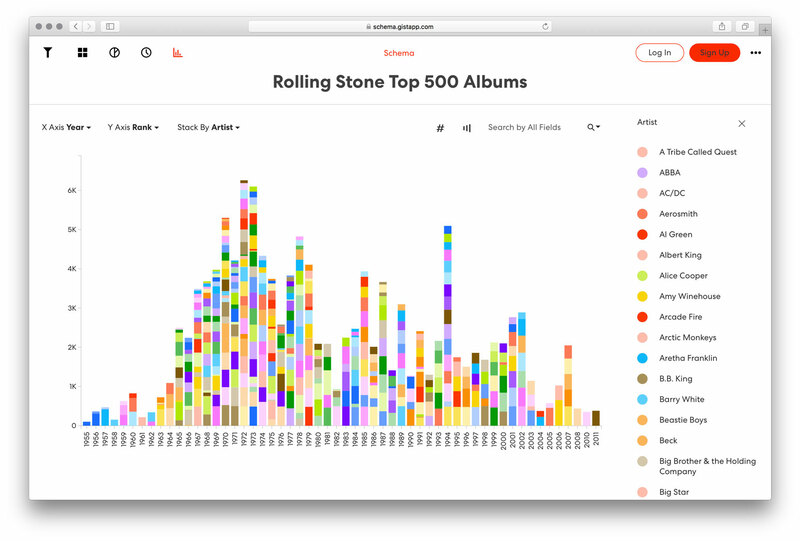 Most of us do, as data is presented in a way that is clear and easy to understand visually. 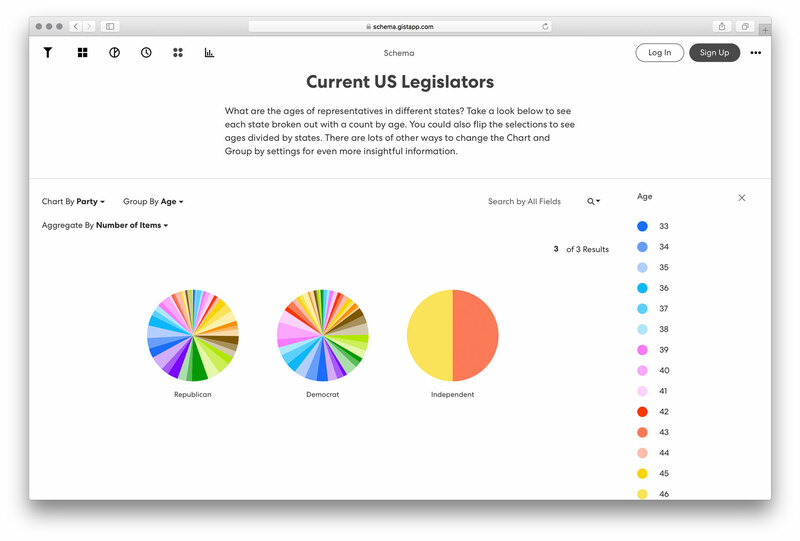 What if you could view your data spread out into several pie charts at the same time ? 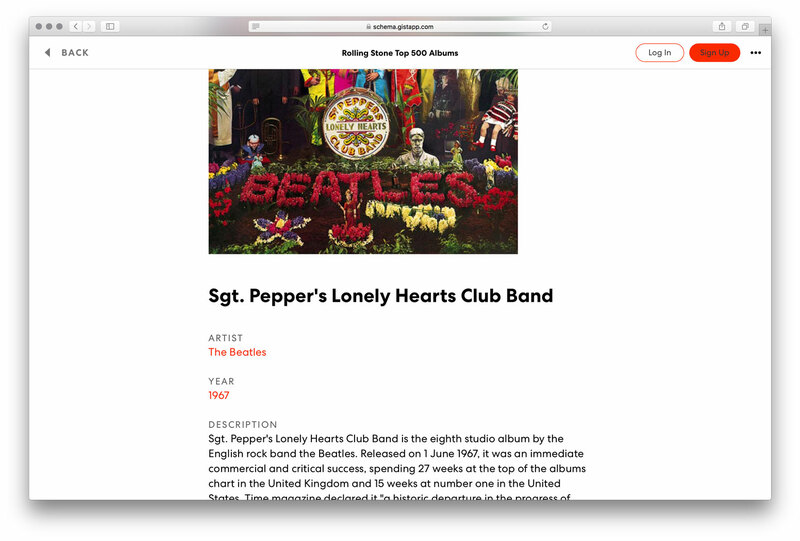 With Gist Pie Set view you can see your information with an additional layer of detail. Come dive in to see more about pie charts with three dimensions of information! 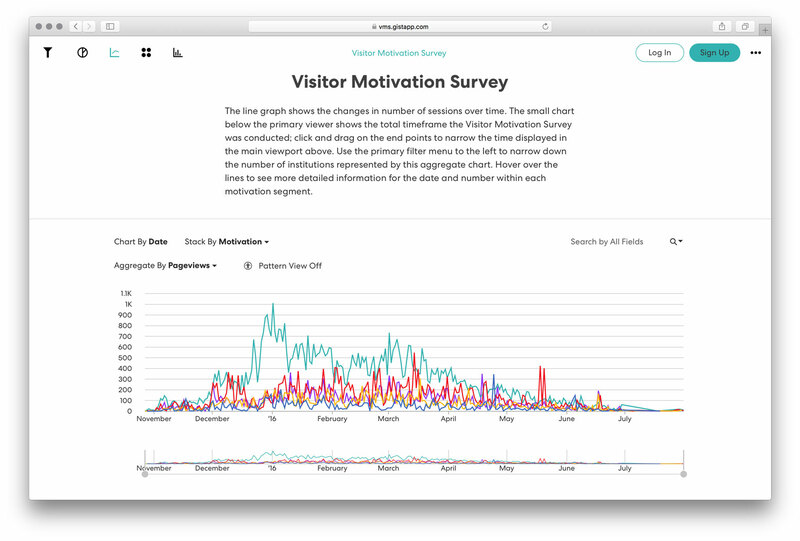 Displaying beautiful graphical views created from combined data is the core of what Gist does. But did you know, you can also use the same data to display reference or more granular detailed information? What a great way to have reference information, phone and contact numbers, or details behind the data right at your fingertips! 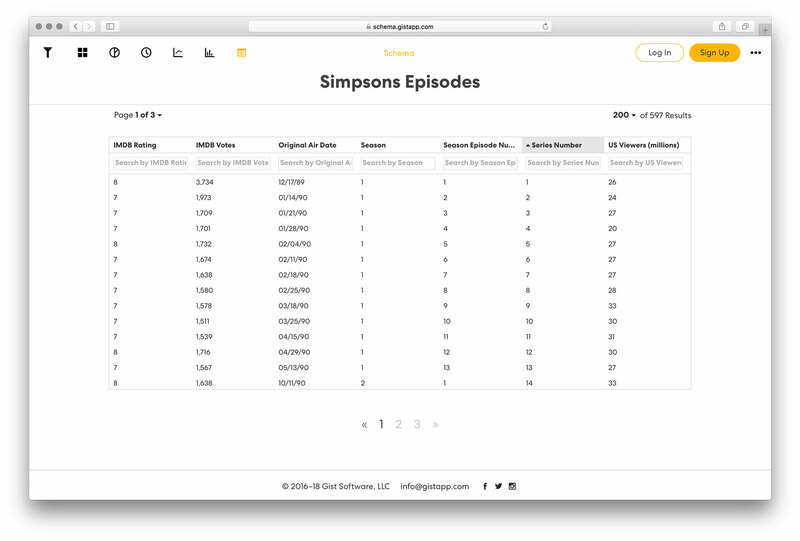 It’s the best of both worlds where we can both visualize data, and drill down to the details with our Item Detail View. With Gist, it’s never form over function – it’s truly the best of both worlds in terms of gorgeous, interactive data interfaces and ergonomic usage for all users. 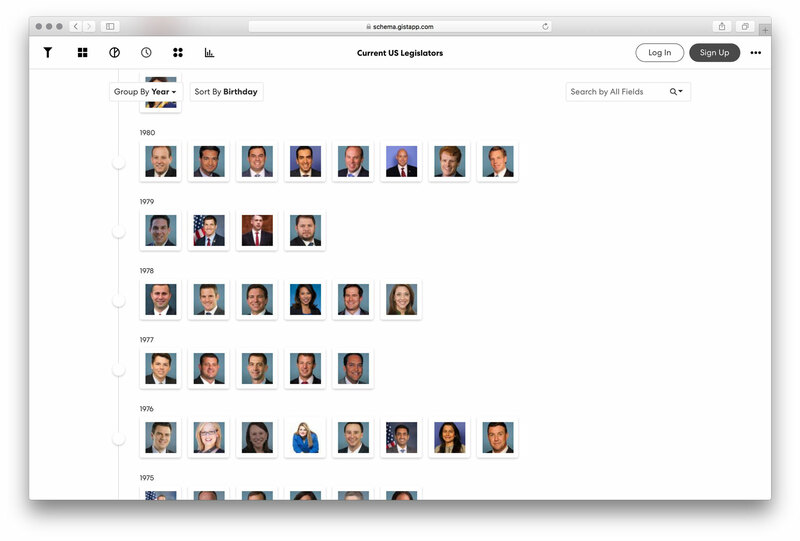 Now, I’d like to share a prime example of how Gist can be successfully utilized for calculating and sharing research for our nation’s democratic process – a comprehensive Visualization of all current legislators of the 114th U.S. Congress. 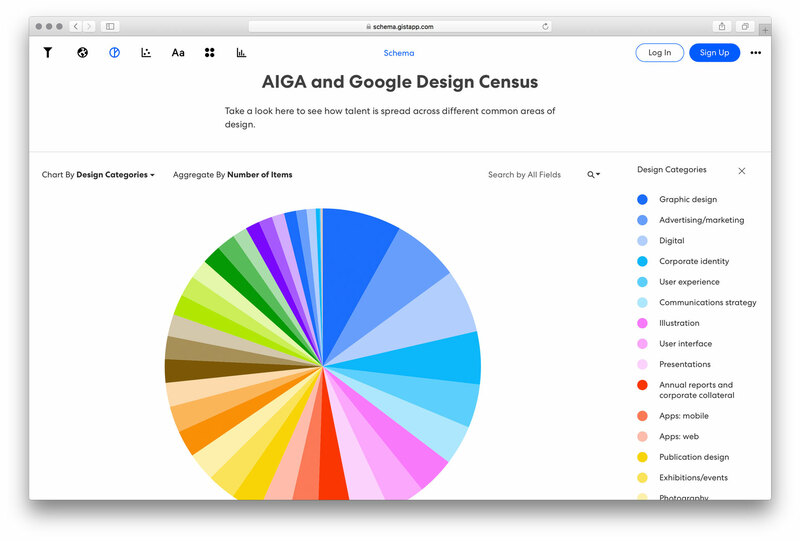 In December of last year, Google and AIGA (the American Institute of Graphic Arts) joined forces to produce an in-depth census of professional graphic designers across the nation, with 9,500 designers taking part. Following a comprehensive survey including their geographical locations, their years in the field, and areas of concentration, the Google/AIGA team collected the data and made it public. 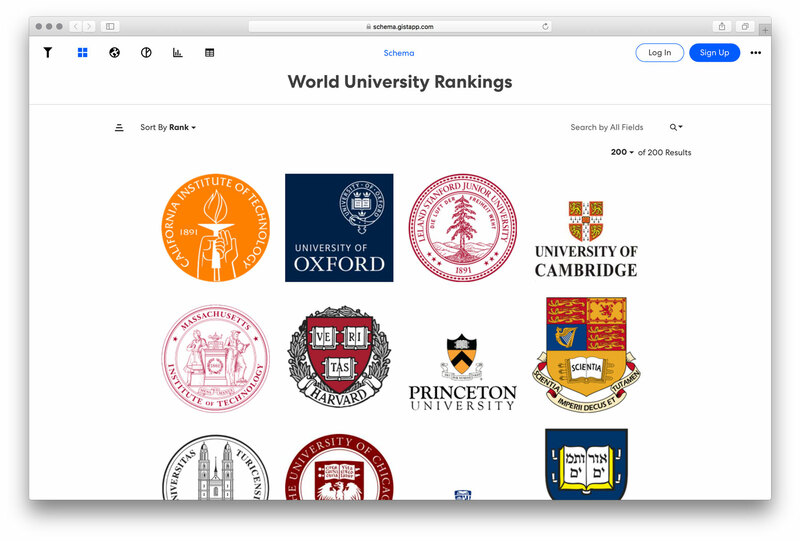 We visualized the world ranking of the 200 top colleges and universities using Gist.. Site visitors are able to not only quickly see the top of the ranking lists, but can re-arrange the rankings by order of country and international score, teaching score, each school’s ratio for research, student-to-staff numbers, gender statistics, and ratio of international students currently enrolled. 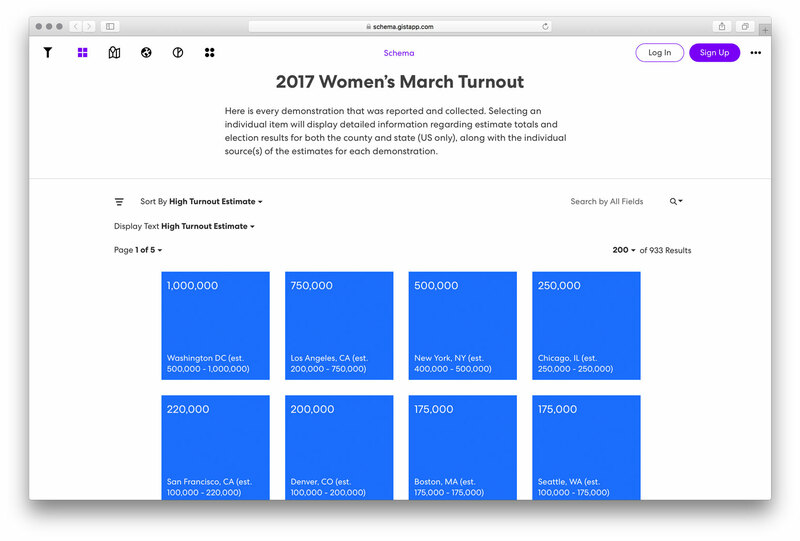 We have consolidated the full data for a recent event that also proved a major historic moment for our nation—the 2017 Women’s March. 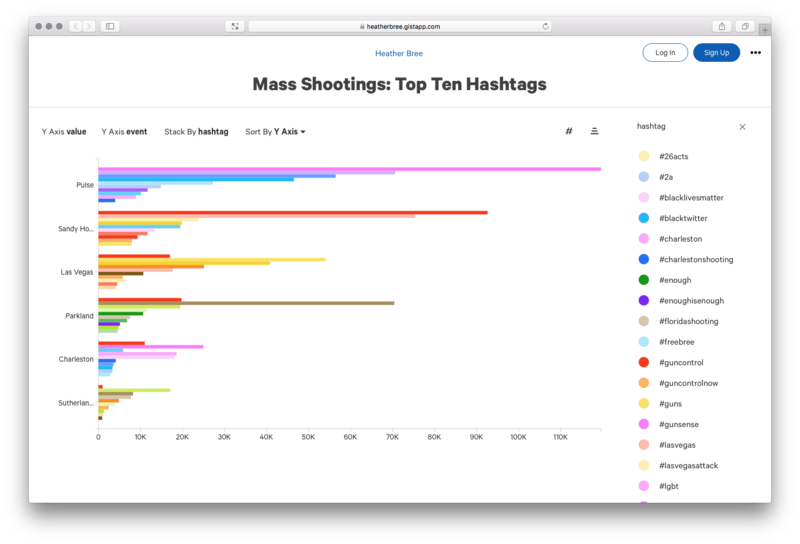 Using Gist's combination of ease-of-use, advanced functionality and vibrant visuals, researchers, journalists and students alike can learn all of the comprehensive statistics of this world-wide protest movement. 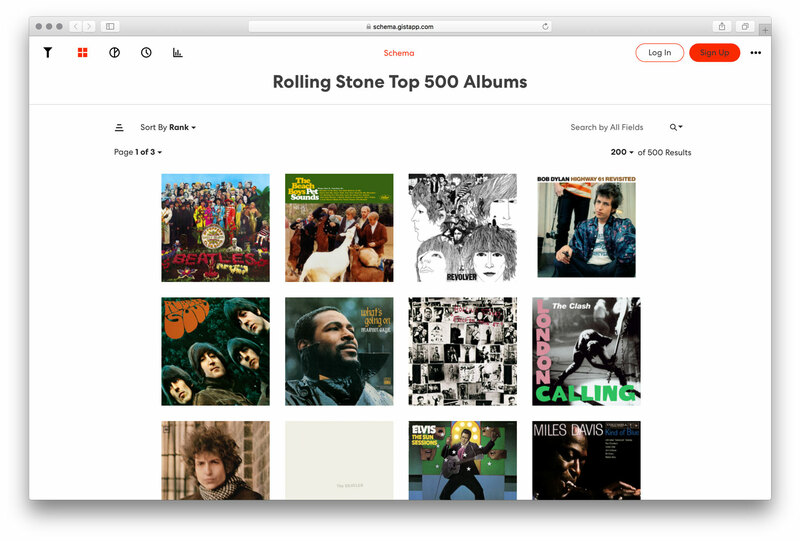 When Rolling Stone magazine announced their list for the top 500 albums of all time, it seemed like a great opportunity to show just what Gist can do. 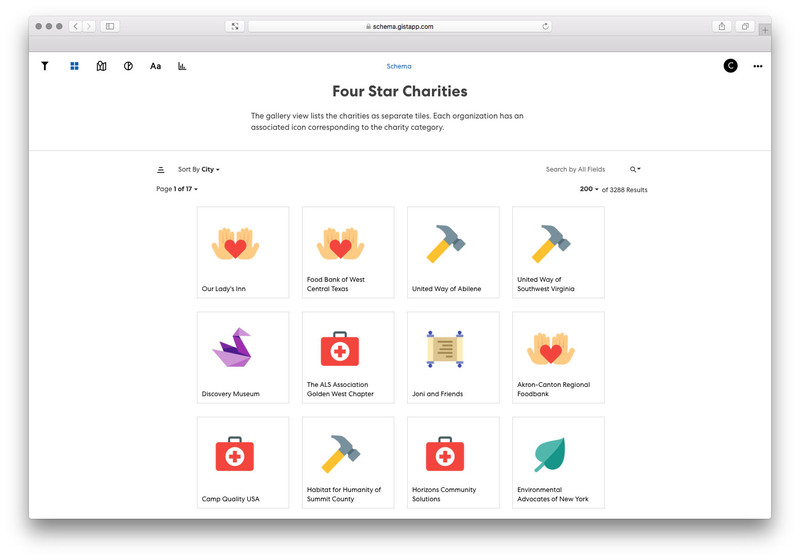 Not only did Gist's ergonomic and effortless design help to arrange the list itself into a beautiful, interactive display, but going a few steps further, demonstrates just how useful Gist can be for researchers.